Chambers Law Office, LLC focuses in the practice areas of Criminal Defense and Traffic Law, including charges for Reckless Driving. As a former deputy prosecutor, Julie Chambers has unique experience she can bring to each case. If you have been accused of reckless driving, you can count on Chambers Law Office to guide you and defend your rights. (4) speeds up or refuses to give one-half (1/2) of the roadway to a driver overtaking and desiring to pass. However, if the offense causes bodily injury to a person, it is a Class A misdemeanor, instead of a Class C misdemeanor. Additionally, a person who operates a vehicle and who recklessly passes a school bus stopped on a roadway when the arm signal device is in the device’s extended position commits a Class B misdemeanor. However, the offense is a Class A misdemeanor if it causes bodily injury to a person. Further, If an offense results in damage to the property of another person, it is a Class B misdemeanor and the court may recommend the suspension of the current driving license of the person convicted of the offense described in this subsection for a fixed period of not more than one (1) year. 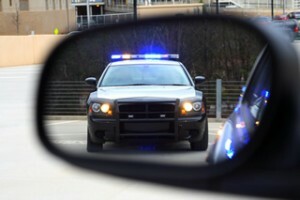 However, if the offense does not result in property damage or injury, the court may still impose a license suspension up to the maximum possible sentence allowed under the law (60 days for a Class c misdemeanor, 180 days for a Class B misdemeanor and 365 days for a Class A misdemeanor). Many people see reckless driving charges as just a minor traffic offense, however, as can be seen, the offense is criminal charge under Indiana law and can lead to probation, jail, lengthy license suspensions and fines. If you have been accused of reckless driving, Chambers Law Office can help. As a former Marion County Traffic Court deputy prosecutor, attorney Julie Chambers has experience handling all types of misdemeanors and traffic cases, including reckless driving charges. Contact Chambers Law Office to speak with a lawyer today!